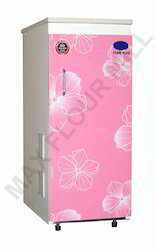 Providing you the best range of max star plus flour mill with effective & timely delivery. Features 1 hp power saver single faze motor 5 kg. Hopper capacitY 6 - 8 kg. / hour grinding capacity (normal jelly). Consumes 1 unit / hour Electricity Isi plywood and mdf cabinet Stainless steal hopper Aluminium cast one piece chamber. M.S. Forging process and zinc coated cutter M.S. Four blade zinc coated and balanced bitter. Good electronic automatic control system Over load protection No noise and no vibration Auto start, auto grind, auto clean and auto stop system EGS technology ( easy grinding system ) Dimensions and accessories 305 width x 457 length x 762 height M.M. Approx. 50. Kg. Weight approx. 1 & 2 aluminium jelly, 3 - 6 m.S. Jelly. Cotton bags, stainless steel container, chamber Cleaning brush and container ring, caster wheel. Looking for Max Standard Flour Mill ?